Trouble Local Printing Using Remote Desktop? 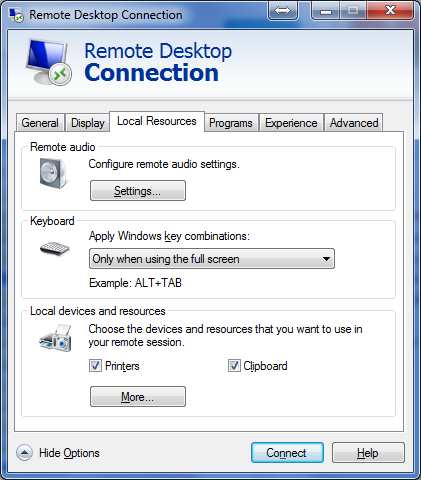 Windows 7 sometimes has issues with printing to a local printer using a Remote Desktop Connection (RDC). 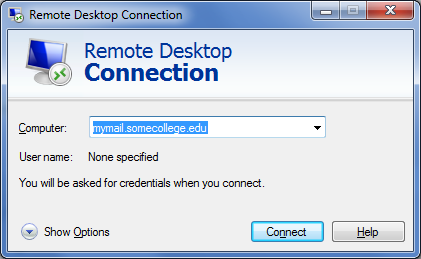 The 1st step is to verify that printers are checked on the Local Resources tab of the Remote Desktop Connection. It is checked by default. If you have the same printer model at home as one at the office then Windows may be confused. It’s best if you install the same printer driver for office & home. The best bet is to check the manufacturer’s website for a driver that fits all of the Operating Systems involved. Scenario – Home & Office both have Gestetner P7325N printers. Office Print Server is 2003 Standard while the connecting remote PC & the Office PC is Windows 7. 32 bit & 64 bit machines may also complicate the process. If necessary install the driver 32 bit O/S on a 32 bit machine & the 64 bit driver on a 64 bit machine. Share both printers & PCs can then choose a matching printer. You can ascertain if your PC is 64 bit by right clicking “My Computer” and selecting properties. In the System section you will see “64-bit Operating System” or something similar if it’s 64-bit. 32-bit Operating Systems may just list the Operating System without denoting it as 32-bit. 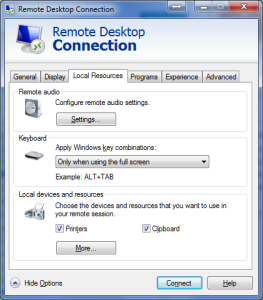 Also check to see if you can add a local printer on the remote PC. Run the Add Printer Wizard for “Local Printer” & find any printer that has the PC Name attached to it. It may not look remotely like the printer you are searching for but there probably won’t be a lot of choices.